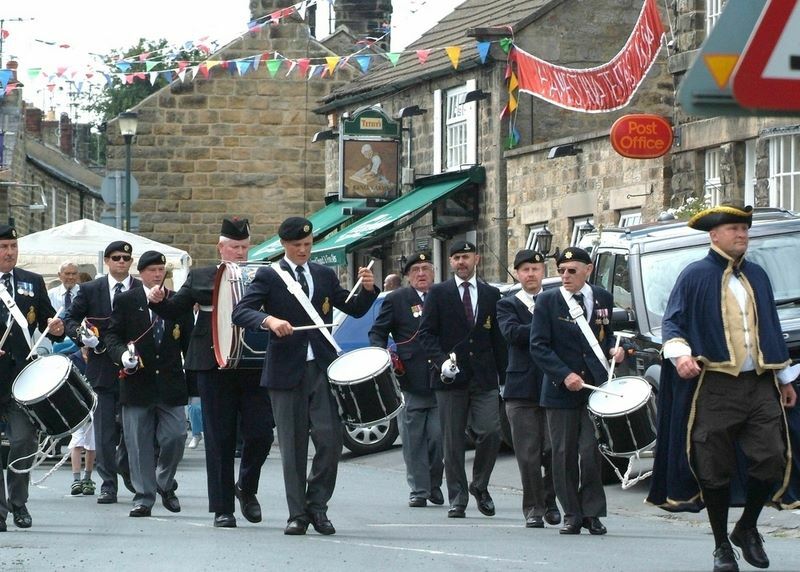 Village folklore recalls three public houses as having existed in the village and this accords with early licensing records which reveal in the late 1700s the grant of three licences in the area. The licensees are named but not the premises. 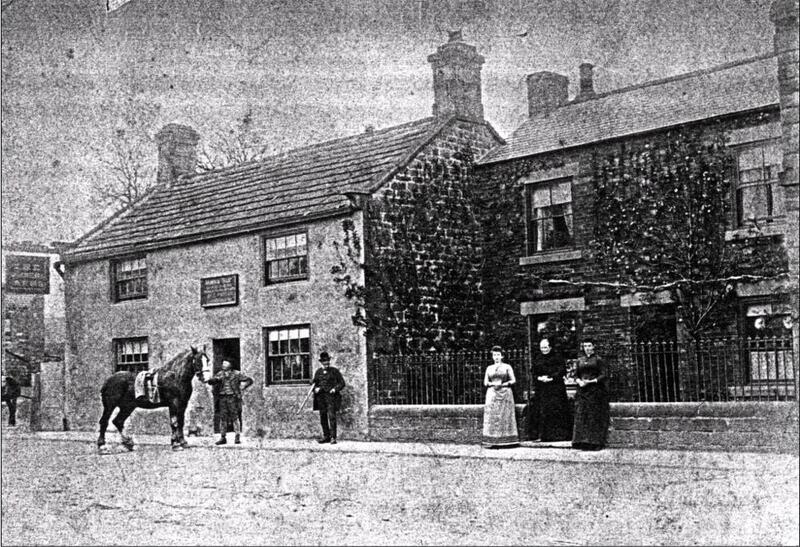 Nevertheless, those houses appear to be the Bay Horse Inn at Swincliffe, the Lamb Inn in Church Lane and the Joiner's Arms. How early those houses were established cannot be precisely stated but it may be assumed that the Joiner's Arms has a long history. The Inclosure Map for the 1770s appears to show a building on the site and the house certainly figures on the first O.S map of 1853. "Joiners Arms following refurbishment July/August 2016"
Alterations to the building over the years leave few architectural clues as to age but the photograph above still reveals a stone surround for what appears to be a former door aperture. The symmetry which such a doorway would have with the present entrance raises the possibility that the building may have been formed from a pair of cottages. 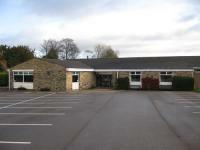 Compare the colour photographs above taken in more recent times, with this early photograph showing still the adjacent cottage(s) before the restaurant extension was built. 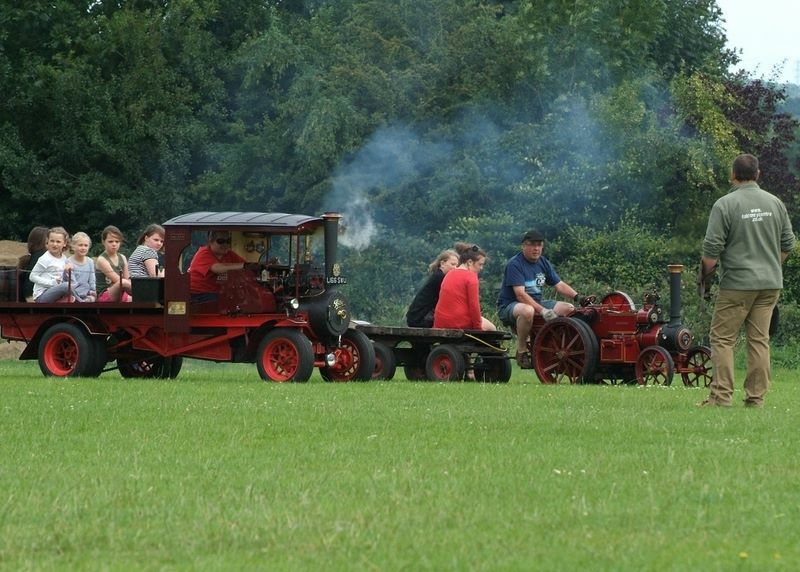 Bernard Wilson (Book One - "Villager's Reminiscences") talking of brick built structures in the village said . . .
"The only other little bit of brickwork was between the Joiner's Arms and the Post Office: there were four cottages there, of which two were knocked down and replaced by a brick building." 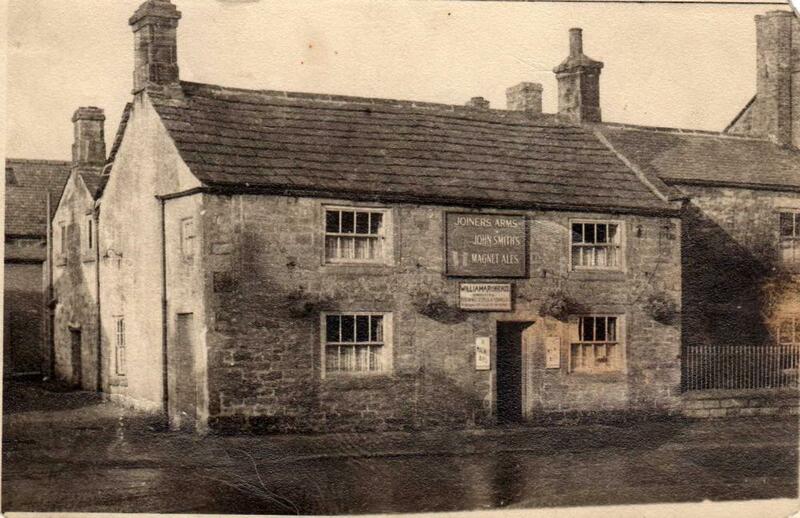 Looking at the early photograph it seems that Bernard's memory misled him - the photograph was obviously taken before he was born (1919) and it reveals not two residual cottages but a single dwelling [note how the modern photograph above shows the extension to the public house (its restaurant) built in front of the old dwellinghouse - the rest of which is now also incorporated into the public house]. On the other hand, it may be that early deeds support Bernard's view. On the 24th June 1868 William Briggs Metcalfe, a Brewer of Harrogate, conveyed to George Metcalfe (his brother?) of Castlestead, Pateley Bridge, a Flax-spinner, his one-half share in "the messuage tenement or dwellinghouse now and heretofore used as an inn with the barns stables and orchard or garth thereunto adjoining and belonging . . . formerly in the occupation of Richard Warriner Cooper afterwards of Robert Wardman but now of William Atkinson and also of and in those three dwellinghouses or tenements formerly in two dwellinghouses . . . formerly in the occupation of Peter Barker Ann Gill and Peter Barker but now in the occupation of Emanuel Barker Mark Barker and Charles Malthouse". The wording suggests that the earlier history of the number of dwellings was correctly understood by Bernard. In the conveyance of 1868 George Metcalfe is described as a Flax Spinner and it may be that it was the acquisition of the Joiner's Arms which set him on the path of becoming a brewer. Certainly, by 1897, that is what he became for on the 15th January in that year we find him so described when he conveys to John Metcalfe & Son Ltd a host of properties connected to the brewing industry. The Company may have already existed (was "John" the name of his father?) or may have been created for the purpose of better managing the extensive property holdings which George now had. The Conveyance not only transferred the Joiner's Arms to the Company but also the Nidderdale Brewery, Chews Buildings, The Crown Hotel, The King's Arms, Church Field and gardens, Hawkridge House, The Black Bull and cottages, Well House, the Talbot Hotel and Colbeck House and Cross Keys all at Pateley Bridge and also the Birch Inn at Wilsill, the Nidd Valley Brewery at Bewerley and the Queen's Head at Kirby Malzeard. 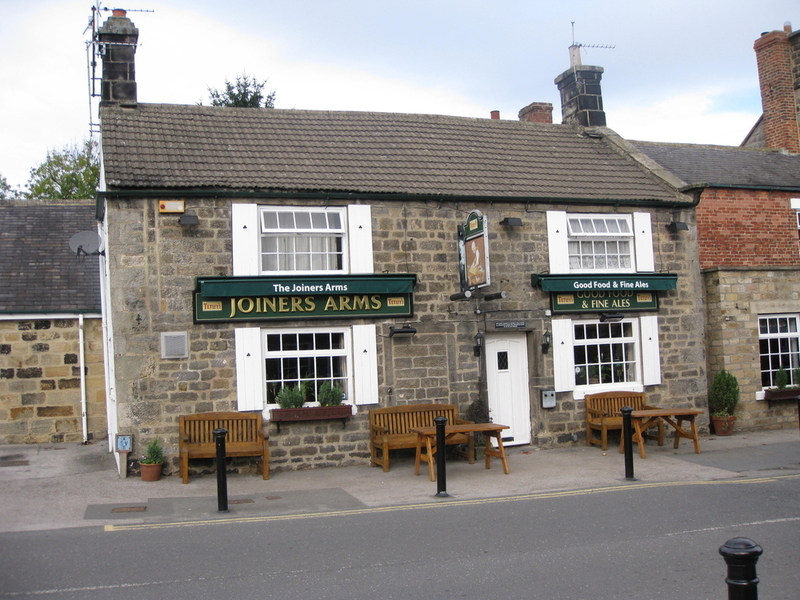 The Joiner's Arms remained in the ownership of John Metcalfe & Son Ltd until sold on the 4th June 1909 to John Smith's Tadcaster Brewery Co. Ltd. which continues to own the property to this day. 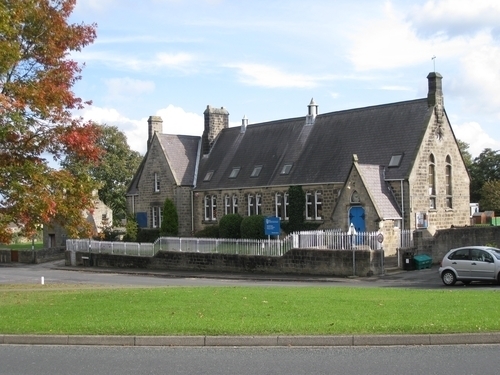 The sum paid was £1200 and for that the purchaser acquired not only the public house and its associated buildings but also a one-acre plot of land on its south side and the field lying on the east side of High Street and which later became the site of the Memorial Hall (click here to read about the Hall). Also included in the sale was the dwellinghouse which once stood behind the Old Post Office (click here to read about that dwelling) and which was demolished with the Post Office when the road was widened in the 1930s . 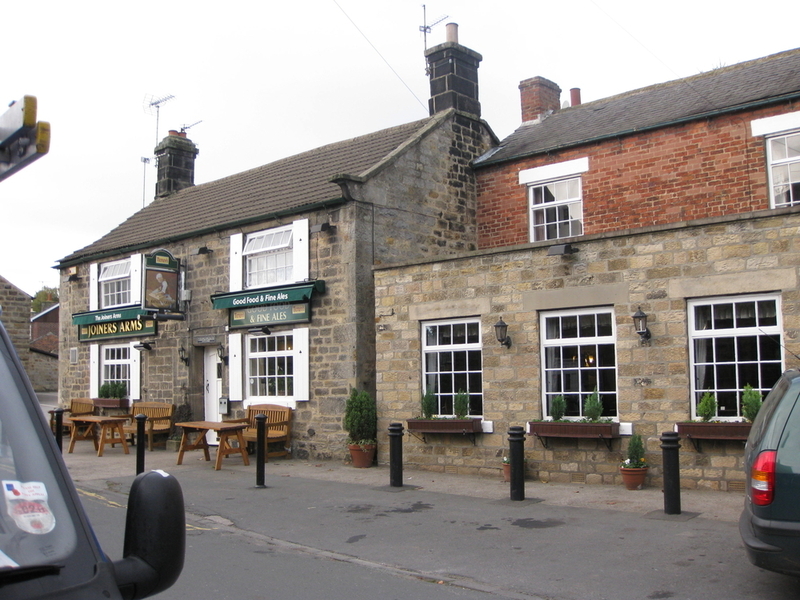 . .
Like other public houses, the Joiner's Arms has played an important part in the social life of the village and, whilst Hampsthwaite's two other Inns have long since reverted to domestic use, it, happily, continues to do so.